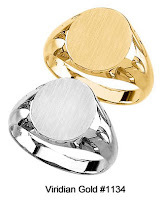 If you are looking for signet rings, you will find a great new selection for both men and women on our website! 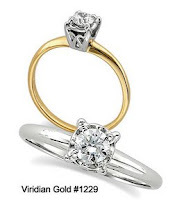 You will find styles in 14K and more economical 10K gold, as well as a many Sterling Silver signet rings. Signet rings are popular as pinky rings (a ring worn on the little finger), as well as the traditional position on your ring finger. 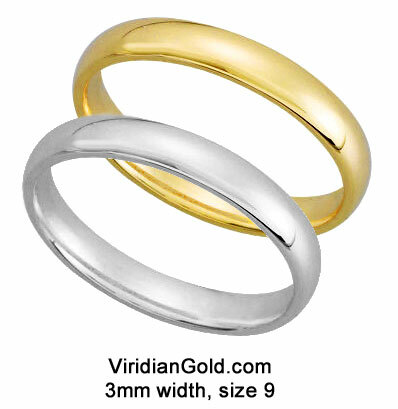 We have recently added many new designs, as well as more economical versions of the popular traditional, oval style, such as our Man's Gold Oval Signet Ring, #1134. You can now select from either solid-back or open-back versions of many designs. The open-back version looks the same as the solid-back from a top view, but the underside of the engravable top is scooped-out, so that there is less gold, and therefore less cost. Since we offer both versions, the choice is yours! Of course, both types are engravable. We can engrave your initials in Monogram style on any of our signet rings for you, or you can have the engraving done later. Monogram style places a larger, last name initial in the center, with the first initial on its left and the middle initial on its right. 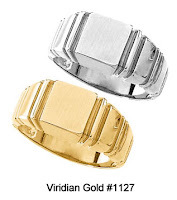 Also, don't miss the new stepped and ridged designs for men, such as the Square Ridged Signet Ring #1127, presenting a masculine, hefty appearance. Also check out the several new scrolled, heart and filligreed feminine designs for women!